Mitzi Borromeo has officially stepped down from her post as anchor of the primetime edition of Newsroom Wednesday night. In a series of photos on her Instagram account, the award-winning journalist took the time to thank her team for being with her for almost three years, referencing last night's so-called "super blue blood moon" in the said post. "Working in the newsroom into the late evenings means experiencing the world mostly from the confines of the office. But we had an excellent view of the Super Blue Blood Moon 🌖 on our monitors," she wrote. "Grateful to have shared many moons with this amazing bunch 💛 I’d say having a Blue Moon, total lunar eclipse and a supermoon all at the same time is quite an auspicious day to say good night and goodbye, and set off on a new chapter." As Media Newser Philippines previously reported, Borromeo had made the decision not to return as anchor of the 9 o'clock edition of Newsroom as she is said to be pursuing an advanced degree. She will, however, remain part of the CNN Philippines family as host of Profiles and other specials, while we're also hearing that a digital show for her is also in the works. "A great privilege and honor to do public service through CNN Philippines, with an awesome team. Cheers to storytelling through journalism, media for nation-building, learning, growing, and the journey onwards," she said in the same post. 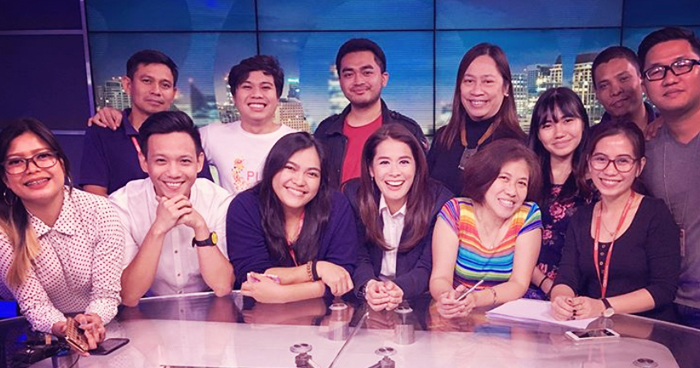 Borromeo began anchoring the broadcast in April 2015. During her time, the newscast won numerous recognitions including a Gawad Tanglaw and a Golden Dove for Best Newscast. Borromeo herself also took home several Best Newscaster trophies — from Gawad Tanglaw in 2017 and from the Golden Dove Awards in 2016 and 2017. Borromeo's successor on the broadcast, as we also reported, is no other than former TV5 anchor and DOTr spokesperson Cherie Mercado. She is expected to make her CNN Philippines debut on Monday, February 5.